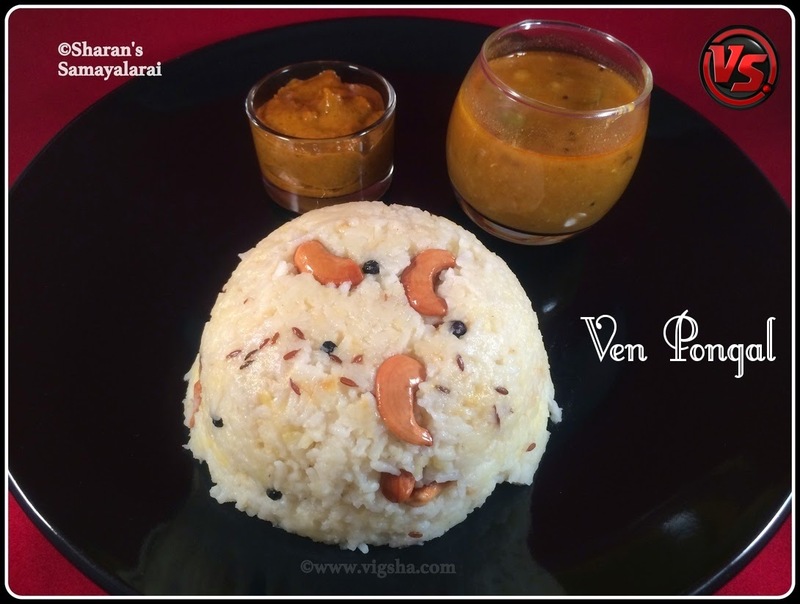 Ven Pongal is a very easy, comfort, regular and famous breakfast in South-India. 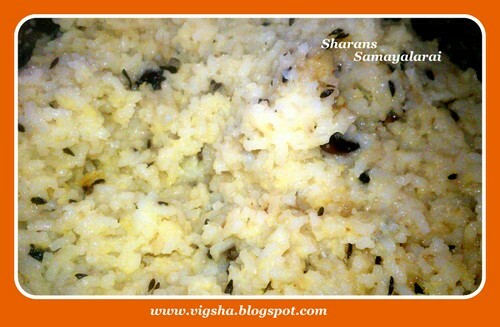 This is my mom's favorite breakfast, she makes yummy and perfect Pongal. 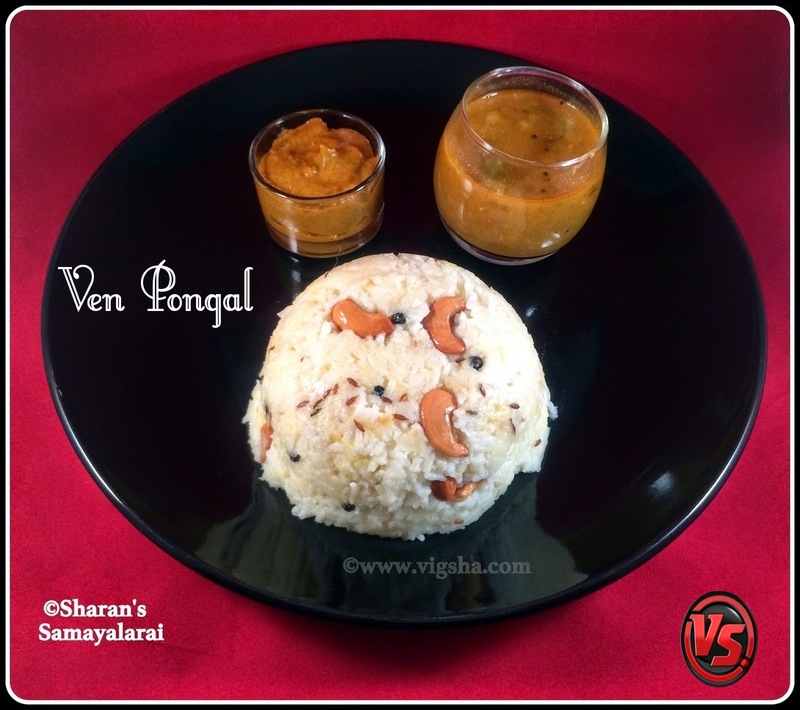 Pongal shouldn't be so dry or so watery. Its tricky to get the right consistency. 1). Wash dal and rice together, drain. Keep it aside. 2). Heat 2 tbsp of ghee in a pressure cooker and saute the cashews till golden brown. Keep aside. Then in the same add cumin, pepper and let it splutter. 3). Lower the flame and add sufficient water(3cups) to the sauteed contents and bring it to boil. Once it starts boiling, add the washed rice with dal, salt and mix well. Close the lid and pressure cook for 2 whistles in medium flame and switch off ! When the steam subsides completely, open the cooker and mix it well so that it gets mashed lightly. Best served hot with coconut chutney & Sambar !! I served it with Kovakkai Sambar and Chutney..
# Water quantity totally depends on the rice variety. So adjust accordingly. # Dry roast moong dal to get nice flavor. But make sure not to brown. # Soak rice and dal for 30minutes before cooking, this helps in cooking dal/rice mixture faster and even. # Ghee enhances the flavor of this dish. 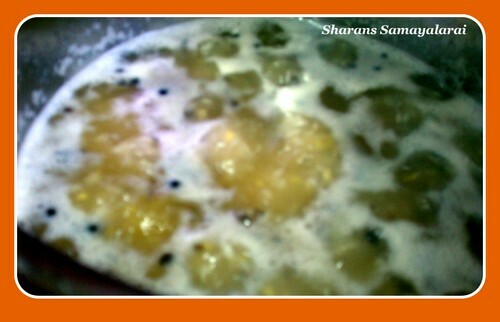 The more ghee you add the tasty the pongal will be. Adjust the ghee quantity as per your taste. # You can cook rice & dal first and later do the seasonings. If you enjoy reading my blog, Join my page on Facebook or follow me on Twitter. All time fav breakfast...perfect with coconut chutney n sambhar! !